While I encourage divorce clients to consider the collaborative divorce model—in which attorneys represent each partner, but both agree to work toward a resolution collaboratively and without resorting to court—the process of spouses legally separating is rarely easy or pleasant. Now, changes to the U.S. tax code (Internal Revenue Code) taking effect Jan. 1 for the 2018 tax year may make the ability to settle cases more difficult. Chief among these changes—explained in IRS Publication 5307, Tax Reform Basics for Individuals and Families—is the elimination of the tax deduction for alimony, as well as the requirement that the spouse receiving alimony report it as income. The benefit to a divorcing couple regarding the ability to deduct alimony was that you could transfer income from a high earning spouse to a lower earning spouse and leverage the taxes applied to that income. So if a high earning spouse was in the 37% tax bracket and the spouse who was to receive income is in the 20% bracket there would be tax savings by transferring the income to the lower earning spouse. At this point in 2018, for most couples engaged in the process of divorce it is likely too late to make a change. We have participated in cases this year where the change was recognized and the case concluded before the change of the law. That said, couples who have finalized divorces or separation agreements before the end of 2018—or who divorced in previous years—will be able to apply the previous tax codes permanently, barring further adjustments to this section of the tax code. Alimony will always be deductible for the spouse paying it, and always considered income for the spouse receiving it. After Jan. 1, the tax code changes on alimony alone may have stressful implications for families proceeding with divorces or legal separations in 2019. The spouse paying alimony in affluent families will have incentive to limit the amount of alimony because the amount paid annually is no longer offset by a tax deduction. In other words, the equivalent of an incentive to be generous has been eliminated. 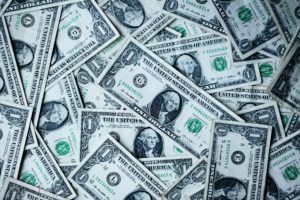 In families with fewer assets and means, the spouse who would receive alimony may push harder to obtain the highest possible amount, as the tax “penalty” of alimony being considered income will be removed. Alimony isn’t the only significant change for divorcing spouses and families to consider. Another notable tax code revision involves changes to benefits for dependents. Personal exemptions, which stood at $4,050 for each child, are being eliminated. However, the child tax credit is being increased to a maximum of $2,000 for each qualifying child, and a new credit of $500 applies to children age 17 or older, including college students. Those factors, combined with an increase of the standard deduction from $6,350 to $12,000, prompts the government to advise that many filers will be better off under the new code. The way in which child tax credits affect the tax implications for couples contemplating divorce or legal separation in 2019 will depend upon each family’s specific circumstances. Also to be judged on an individual basis is the way the revised tax code will impact couples’ pre-nuptial and post-nuptial agreements, whose stipulations may be affected by the changes. While the IRS website includes a Tax Reform page, determining how the revised tax code applies to families dealing with the added complexity of separation or divorce is not a simple matter. Those who have divorced in 2018, or anticipate beginning the process in 2019, as well as those with existing pre- or post-nuptial agreements, should consult a Divorce & Family Law attorney about the impact of tax reform and what actions may be necessary. Attorney Ken Taylor spends the majority of his time on Divorce & Family Law cases, along with representing Real Estate clients. Based on his broad experience and extensive knowledge of the law, Attorney Taylor also handles general litigation, with notable cases and outcomes in Personal Injury Law and Workers’ Compensation. 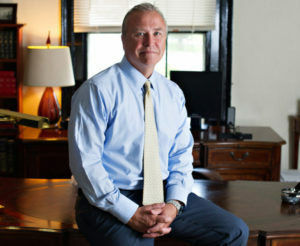 In terms of divorce and related issues of custody and financial disputes, Attorney Taylor engages in a model known as collaborative divorce.